Who should I upgrade to Level 18? So I'm just about ready to level one person up to Level 18, my training grounds are level 17..
Can you folks have a quick look over some of these legendaries 1* pink characters I've got and let me know who to level up for now? I've got Daryl / Maggie / Glenn up to blue rank but I'm guessing I shouldn't really upgrade them yet. EdnaE. Most definately...incredible traits for a hunter. You also should upgrade some gear. Upgraded gear make a big difference. I agree with @jbuoy on Maggie first for her bonus XP trait. Unless of course, you're not using her to begin with. She was the first I levelled to 21. 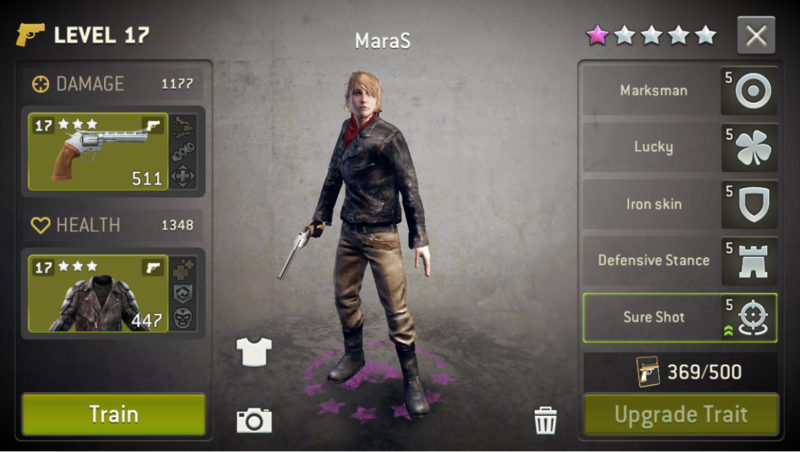 It wasn't long ago that I promoted several survivors to pink, all at once, at level 20. When I was able to train to 21, I decided to start with heroes first. This brought them up to par with my lvl 20 pinks, at least as far as body shots go. I then moved on to legendary 20s that are waiting for pink promotion. So now the majority of my survivors are at similar strength, either level 21 or level 20 pinks. I'm almost ready to finally train my pinks to 21, which, unfortunately, is the point where they begin leaving heroes behind. Thanks for all your comments. I think I'll go with Edna for now. 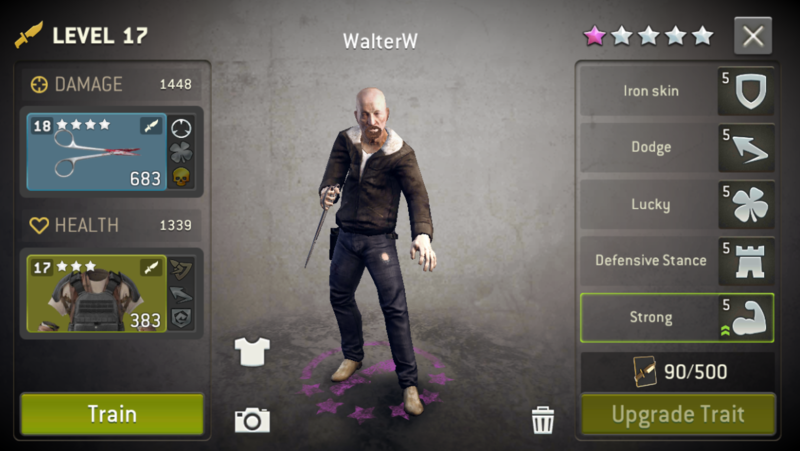 Walter and Warren are doing pretty good at the moment. 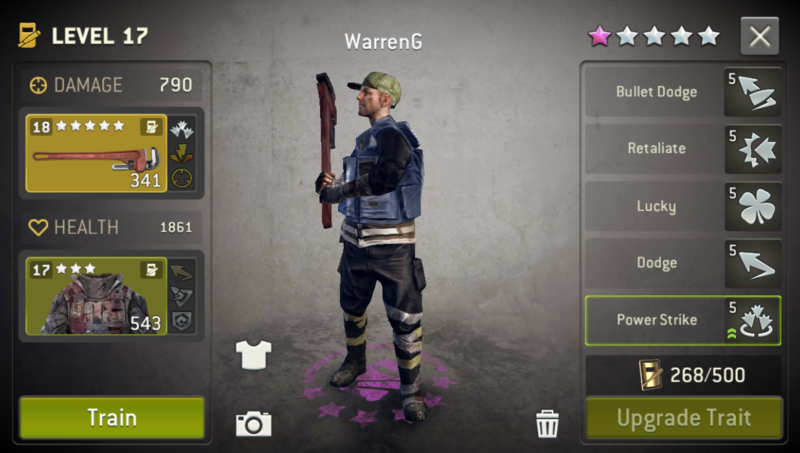 @AlexFiliUK Go for some gear upgrades as some others already suggested. Unless what you showed on ur survs is not standard and you have bunch of gear already upgraded to lvl19/20. You dont have to go for 50 pieces, I say one set of armor/weapon for each class and two for classes you use more/most will be fair enough. 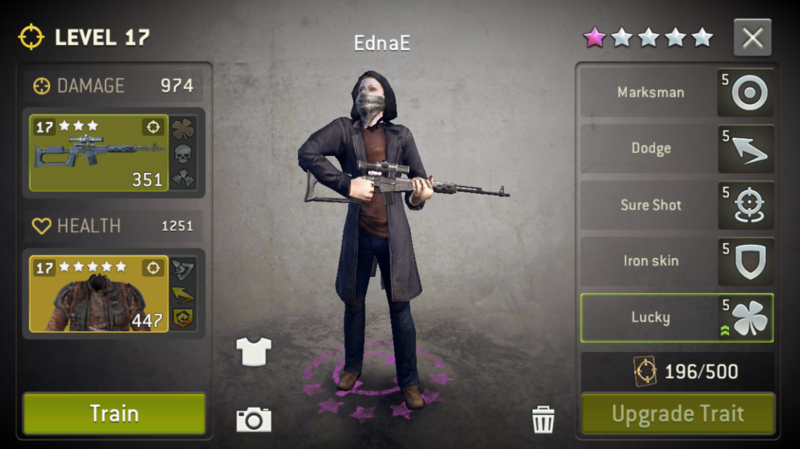 And btw congratz on EdnaE, she´s really fine killer.